(16 mm) is a medium-speed tungsten-balanced color negative camera film intended for general motion-picture production. It features microfine grain, very high sharpness, and high resolving power. The wide exposure latitude of this film makes it especially suitable for both indoor and outdoor photography under a wide variety of conditions. This film is balanced for use with tungsten light, but you can expose it with daylight with filters. The emulsion contains a colored-coupler mask for good color reproduction in release prints. See the test roll we shot with this film below, it holds up well in daylight too! We shot by over exposing 1 full stop. 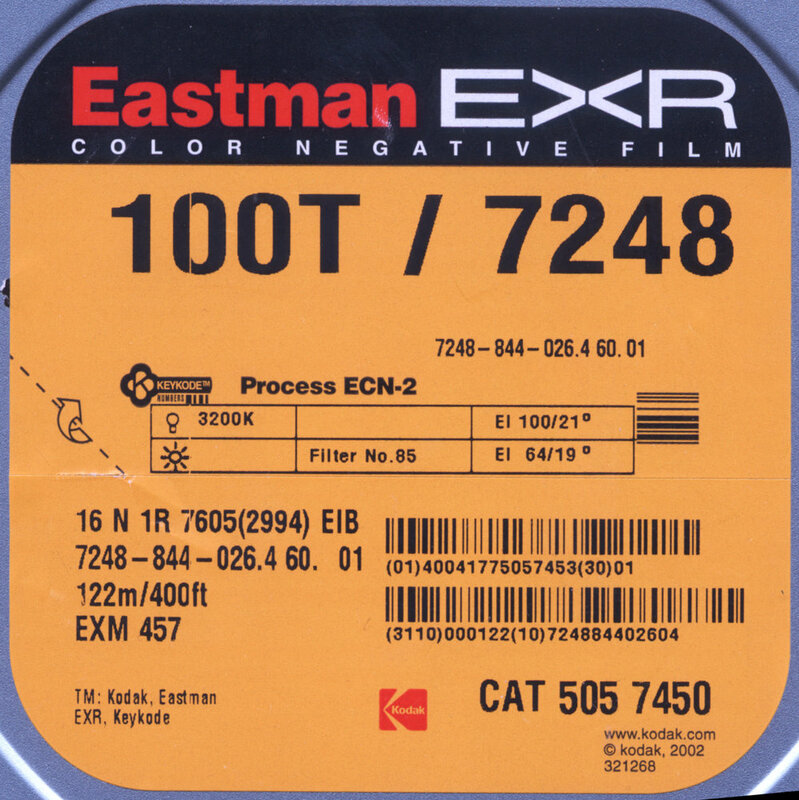 Learn more about Eastman's EXR technical specifications.